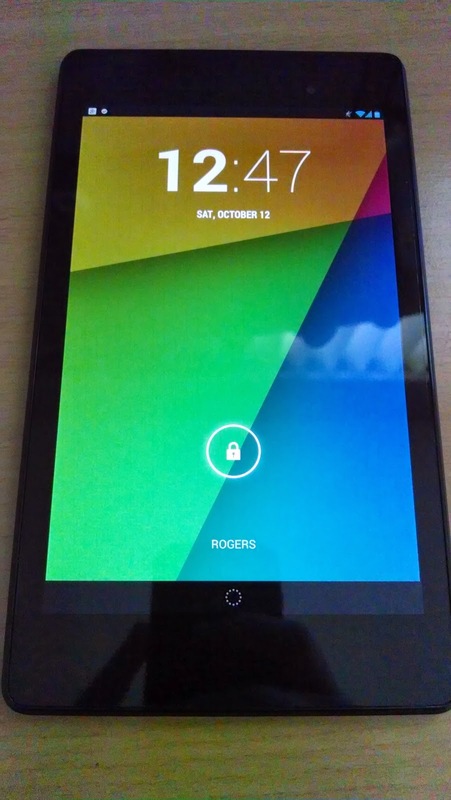 So I got my hands on the Nexus 7 (2013) 32GB LTE edition from the Google Play Store. I took advantage of their free shipping offers they had going on. This is a step up from the previous version of Nexus 7 I had. So this is going to be just a quick review since it's essentially the same tablet as before, with a bump in specs. 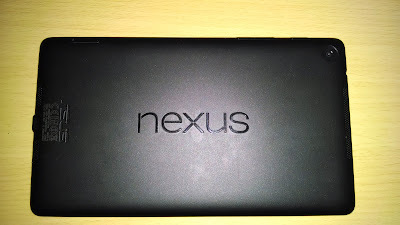 So surely we all know the basics of the Nexus 7 (2013). It's quad core, 2GB Ram, LTE version is 32GB along with NFC and a 5MP back Camera. I could ramble on about specs more, but let's not rehash it over and over from other sites. 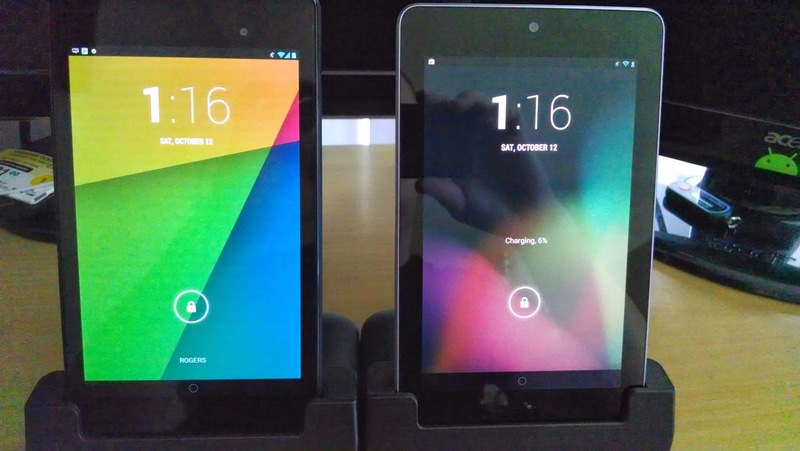 First thing I noticed immediately is the new Nexus 7 fits extremely well in the hands. Asus really brought the weight down and ironed out this tablet making it much slimmer. That being said they also managed to bring the bezel down a bit on the sides, which also contributes to the device fitting so well in the hands, you'll never look at the original Nexus 7 the same. I bought the Nexus 7 LTE version with full intentions of using it as my primary phone for a little fun. I had many ask how it would fair in real world conditions, well here's my thoughts after a full week. I'm using my Rogers One Number to take VOIP Calls using my real number, and using MySMS to sync all my text messages, this method worked extremely well. I never missed a single call or Text of any kind opposed to my phone being in my pocket. As said previously, Asus really slimmed this tablet down to the point where it fit in my pocket without problems. However, it was kinda funny some of the reactions I got when I whipped the tablet out. Clearly there's no ear speaker on the Nexus 7 (2013) to take actual voice calls, so you're left with taking all calls via speaker phone, or using headphones or bluetooth headset for privacy. All in all, when I go to family outings, This tablet will be in my pocket. As for other occasions I'll have my phone. Having a tablet on hand to share pictures and such as just a magical thing. Speaking about pictures... The 5MP camera on the Nexus 7 is pretty terrible to say the least. In nearly all conditions I could barely get a decent shot that was actually in focus. It appears the tablet has a hard time focusing in for a clear picture, and with the lack of a LED for flash, it makes moderate to low light pictures totally useless. I do understand that this is a tablet and not a camera, so I'm not left too disappointed. 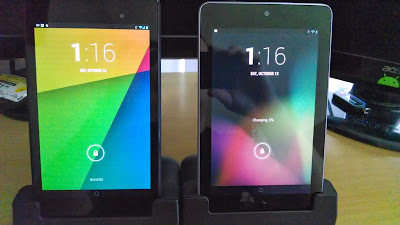 The screen on the new Nexus 7 (on the left) is far more vibrant than the old nexus 7 on the right. Here you can also see just how much the side bezels have shrunk. It doesn't look like a lot with the naked eye, but holding it is a different story. Clearly with the screen upgrade to full HD on the new Nexus 7, watching videos and playing games is a real treat. Zooming in on webpages renders a fully smooth and crisp font without edges, unlike what we seen with the previous Nexus 7. It might be a little hard to see in this picture, but the new Nexus 7 has two speakers opposed to just one on the previous model. 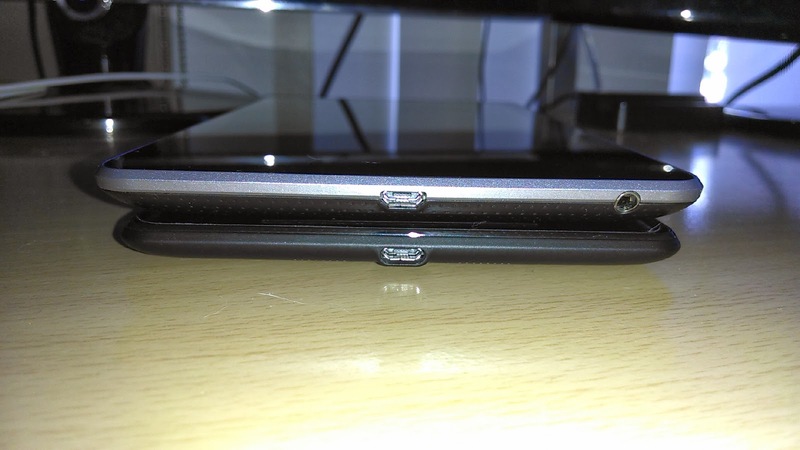 if you look closely, you can see them on each end of the device. Of course this results in a much richer sound when playing games and watching videos. I dunno about anyone else, but when I was using my old Nexus 7, I often found myself cupping the speaker trying to get more volume and direction of sound out of it, I can tell you with the upgraded Nexus 7, the sound is much louder and enjoyable. Cupping those speakers is a thing of the past for this tablet. Even though it's basically re-released version of the previous Nexus 7 with a spec bump, I'm very happy with this tablet. I find myself reaching for this tablet while at home for my everyday use, where other tablets have often just collected dust on top of my desk. Carrying this tablet around as a phone as I initially wanted to may not be practical, but for family outings and sharing media, it's a clear winner and a well rounded tool. Do you like the docks I have in the pictures above? Check out my Review on those RNO Docks Here.